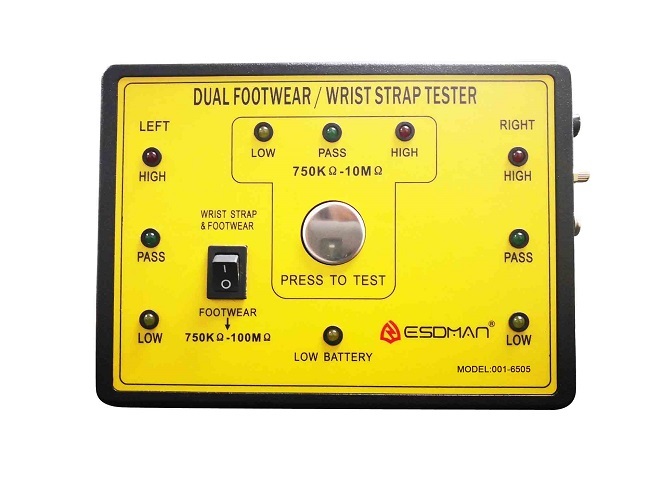 This instrument is produced according to ISO/CD8782-1 standard , can test ground resistance of hand & foot, there is LED display & alarm. It is an absolutely necessary tester in static control industry. 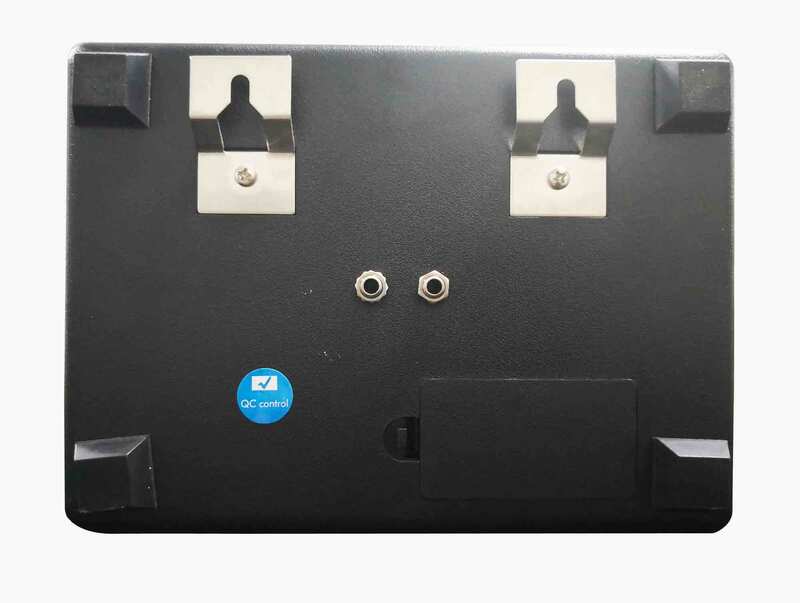 SURPA-6505 uses 9V battery , low voltage and safety. User can easily adjust the height of tester. Dial”Selective switch”to”foot wear”,then stand on testing board after wearing ESD shoes,press”PRESS TO TEST”key.In this way,Left light will display the ground resistance of the left foot wearing ESD shoe & Right light will show the ground resistance of right foot wearing the ESD shoe. 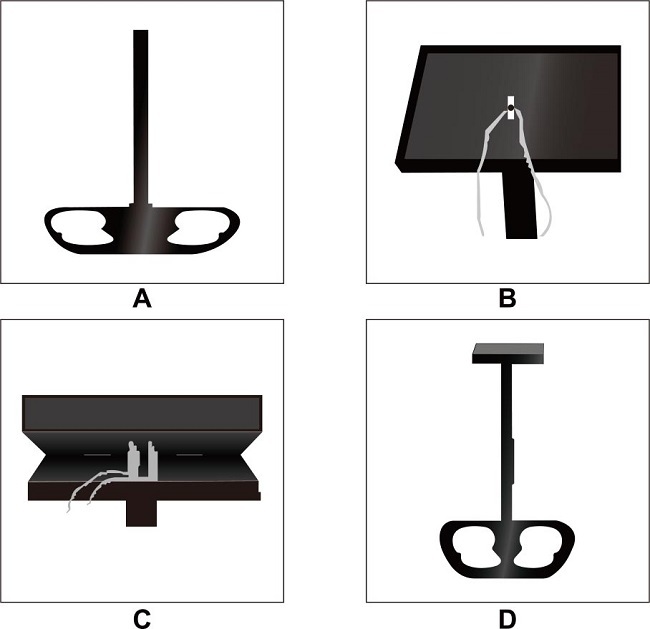 Dial “Selective switch”to “WRSIT STRAP”&FOOTWEAR” key,connect wrist strap and plug socket or alligator clip into the outlet,then press”PRESS TO TEST”key,the value shown on the top middle place is wrist strap resistance.